I am a beginning quilter. I make homemade quilts using my sewing machine. How should I price a finished quilt? This can be a tricky question to answer. I've seen formulas to price things at 3 times your cost plus a profit margin. 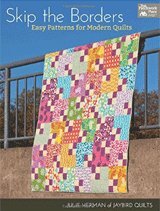 Depending on the types of quilts you make, that may or may not adequately compensate you for the time you spend in the whole process of making the quilt. Edited to add: This post got a bit longer than I expected. I will be using the words 'happy' or 'happy price'. I do not mean to trivialize your calculations with the use of this word. But it is such a basic feeling. You won't be 'happy' all the time in your business, that's just life, but to be generally 'happy' in making a living with your hands is the only way I see to move forward. I will suggest to you what I suggested to my Mom when she was considering teaching classes on the West Coast (she lived in Minneapolis at the time). In her case, there would be two days spent traveling to get back and forth to the class. So a three day class would actually take her five days to complete...not including prep work, packing or recovery time. My advice to her was to charge the price at which she'd would be 'happy' to teach the class. Students who want to be in that class so much that they are willing to pay for the class, room/board, and transportation, IMHO, have the right to expect a teacher who is just as thrilled to be teaching. Mom had retired from real estate and hated to travel by air...so her 'happy' price would be different than someone else. Once her price was determined, it was up to the organizers to determine if that price worked in their market. My next door neighbor and her friend started a memory quilt business through a catalog. To get to a contract with the publisher, I believe they signed a contract for less than what they would have and assumed they'd make up the difference in quantity. 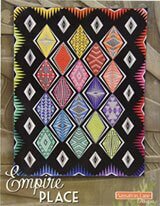 The problem was that the 'quantity' and backlog for memory quilts hit in the late Fall...just in time for the Christmas rush. Not only were they not happy with the price on regular days, they were completely stressed and under-compensated for the work they were putting in during the rush. Because these were memory quilts (i.e. photo transfer quilts) they had to wait to receive the photos from the purchaser and then do the editing before even starting the quilt. They ended the contract with the catalog as soon as they could. One did memory quilts for a bit longer. Neither is in the business today. How will you market, advertise and sell your work? Website, newspaper ads, craft fair and shows? Those all cost money and should be built into your price. If you are a stay-at-home-mom like I am, will you need to hire someone to fill in for you at times? Babysitter or rides or buying meals instead of making them? What business costs do you expect...any licenses, insurance (if you are vending), banking fees, accountant, phone and computer bills, business cards, payroll taxes, etc. 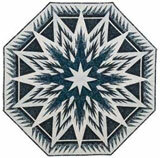 Will you need to spend time consulting with the customer on the fabrics and design of the quilt? Longarm quilters will sometimes charge for this consultation to keep themselves 'happy'. The customer is serious and wastes less time with idle chitchat during the process. My neighbor, the one I wrote of above, would frequently have customers that would stay for several hours when they dropped off their quilts to be quilted. That is time that could have been spent doing the actual quilting. So make sure to include consulting in your costs if it is needed. Walk through the whole process from starting the business to delivering the finished quilt to determine all of the hidden costs that may apply. What do those costs amount to on a 'per quilt' basis? 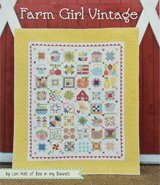 You' have to make some estimates on how many quilts you think you can make and how many you can sell per year. 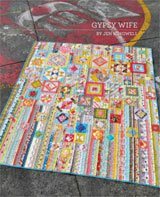 The limiting factor will be the number of quilts you can make each week. Now add that cost estimate to your 'happy to do it' price. The best way to figure your price is what do you need to make per hour to make you happy? Remember that it's easier to lower your prices than to raise them. So if you undercut yourself here, it'll be harder to remedy the situation. Consider, too, that if your business takes off (and please do plan for success) you may need to hire others to help you. At that point even if you're not doing the actual work, you'll still have to manage and coordinate. You'll want/need to be compensated for that. Now you need to determine if the price is one your market will support. What's your competition? Who are your targeted consumers? What will they pay? This part will be tricky, because there's always someone willing to sell cheaper than you. Figure out how to set yourself apart. There's a gal in NYC that sells modern looking quilts as art...several years ago when I saw her (on a Martha Stewart show segment), she was getting around $1000/quilt. She was selling her quilts as art. People are mentally prepared to pay more for art than a blanket. This sounds like a lot of work, and it is! But you are talking about committing yourself to a business delivering a product. Care and planning now will make you a much better, much happier business person in the end. I will tell perspective buyers the base price is $120 baby, $180 lap, $250 twin $350 double. When we couple the designs and materials to be used this will add to base price. It can be adjusted at completion if quilts were easier to make then anticipated.